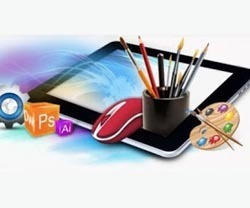 PDFs were developed in 1992 and today it is a format trusted by businesses around the world. The PDF is widely renowned as a great format however one must agree, it remains quite limited in comparison to online formats. There is some level of hassle involved such as having to download a large PDF file. Content can often come across as boring in a PDF coinciding with its sharing inabilities and it’s optimal referencing on search engines or statistics. Using PDFs can often limit a company’s reach, deny themselves of key communication channels and leave them with zero indication on the performance of their campaign. Another downside for PDFs is their compatibility, admittedly not an issue no desktop screens, however they are very compatible on mobile devices. The same cannot be said for digital magazines. PDFs lack quality and can sometimes be hard to read. Many people have issues viewing PDFs in different browsers and devices, and locating something specific within a PDF document can be troublesome. There’s also some hassle involved in editing PDFs and you can often waste quite a lot of time doing so. Going digital with your content makes it easier to view, sharable and compatible. PDFs can often lack life and the newest digital technologies have changed the way we consume content. As readers, we look for engagement and an enhanced reading experience in today’s mobile centric world. Nowadays there’s more traffic on the internet from mobile devices and more people are viewing content on mobile devices than on desktops. For this reason, it’s essential that your content be published in a format that supports mobile devices. One solution that offers an engaging experience for your readers across many devices is a digital magazine. 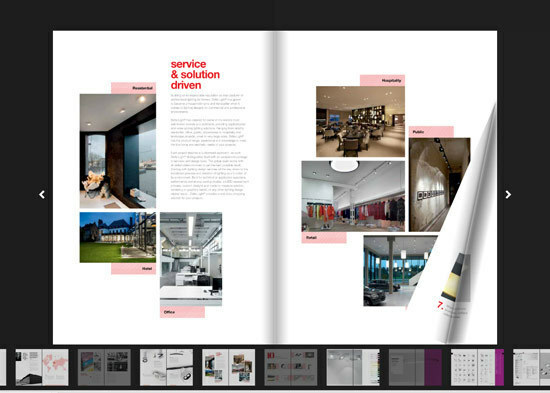 Why not convert your static PDF into digital format and make the most of the engaging and interactive features available? Digital magazine software converts your PDF files with ease into interactive 3D pages with a flip page effect just like real magazines. Digital magazines enable publishers with an array of interactivity such as page flipping, video, animations, social plugins and many more. It creates a whole new reading experience and is almost incomparable to a static PDF document containing solely word and image content. What should you focus on to make your PDF look and feel professional? It’s important to have a clear design that’s easy to read. Your user’s must feel comfortable when reading your publication and you can aid this by leading the eye in and breaking up the page into a grid. Use a template style that best fits your content and be careful when positioning images and text on alternate pages. The base grid underneath should remain constant, allowing your design to flow. This creates familiarity with the publication and brings ease to the reader. Color: When it comes to color, pick a pallet and remain loyal to a few colors. Pantone reference them, combinations that work well are; one strong tone with 2 milder tones. White space: Try to keep your publication tidy and avoid overcrowding if you can. Many will try to cram as much content as possible into a publication but this isn’t the best tactic. Having a clear, crisp negative space can often be more eye-catching than a page covered in text, images and branding. Imagery: If images are pixilated or low resolution it’s better to exclude them from your publication. Your publication could be fantastically designed but will fall short as soon as your users come across a poor image. Good clean design, incorporating nice white, concise backgrounds using images of the sharpest, highest quality will always prevail. Text: Many readers don’t like hauling through large sections of text. As the designer, you can make this experience more enjoyable. A good way to this is by manipulating images, graphs, bullets points, highlight headings and use subsections to identify different areas of content. Digital magazines work great as advertising platforms. They can offer advertisers analytics such as the number of clocks users had on each advertisement. Banner ads and adverts in general can give your magazine a professional feel. You can use videos in your magazine to engage those who’d rather watch than read. Why not embed Youtube videos on a page within your flipbook. Videos can enhance the user’s experience and will work for them on any device. Build a healthy external and internal linking structure. Remember, links are automatically recognized from the PDF version. Links allow users to learn more about your products. Links can help people navigate through your publication, take them to your website, contact pages and other files that provide them with more information. For people in the publishing business the PDF is a widely-used format. Often the print version of a magazine is the same as the digital edition, so having an easy way to convert a PDF into a digital magazine is extremely useful. 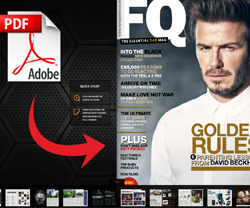 There are multiple methods you can use to convert a PDF magazine into its digital form, and dozens of different formats you may end up with, but very few will give you the professional look and feel as a publishing suite software like 3D Issue will give you.